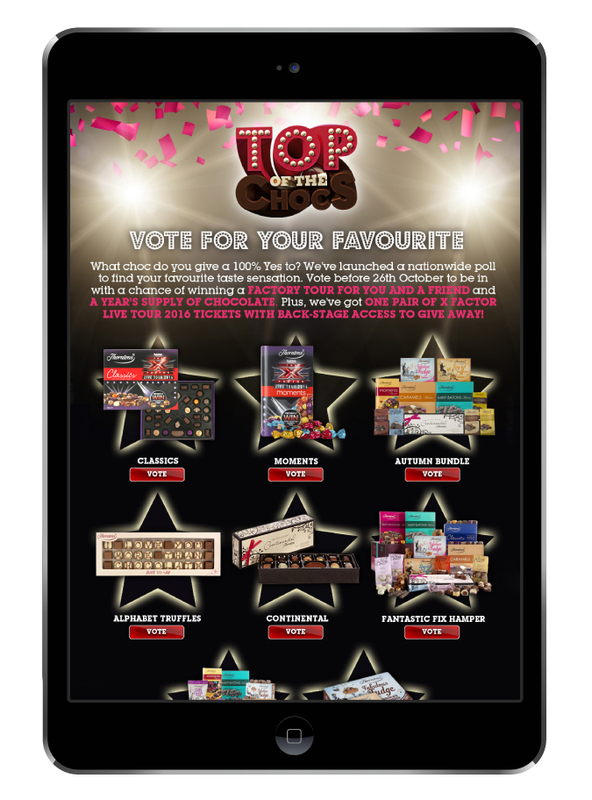 Thornton Top of the Chocs invited customers to vote for their favourite products. Each product linked back to the main website. Visitors had the chance to win X Factor tickets by taking part. 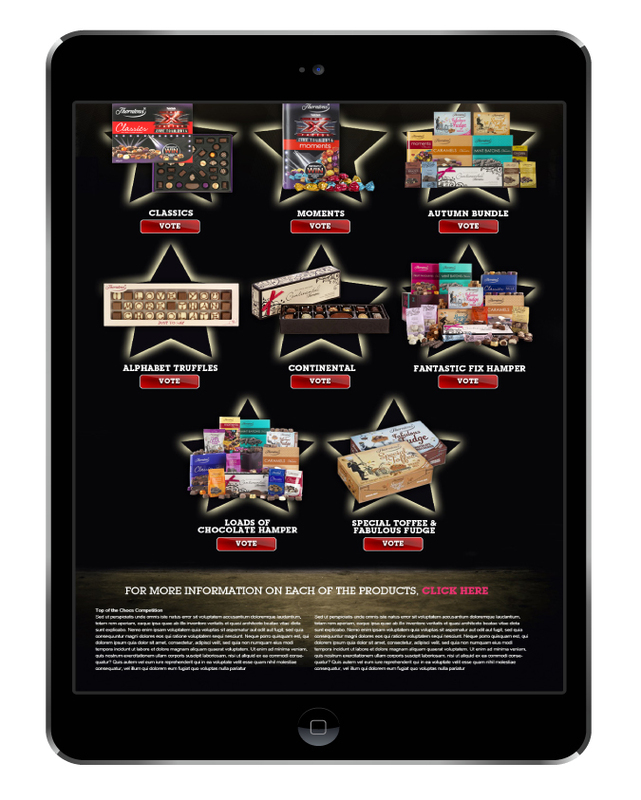 Data was collected to enable Thorntons to target certain products and promote them accordingly. 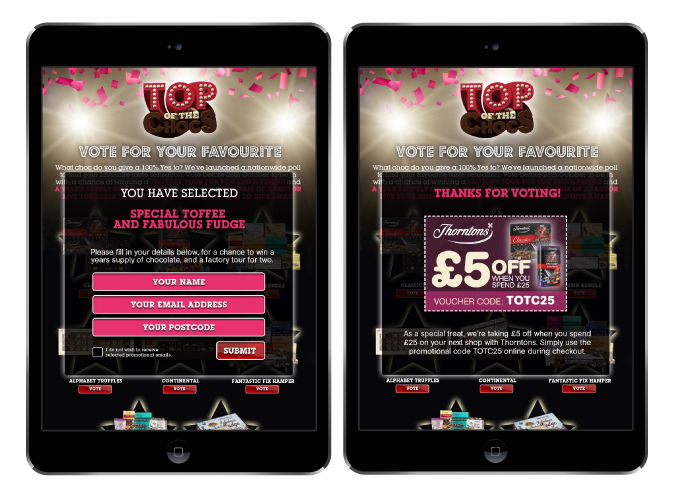 Each vote recorded was given a discount voucher to encourage them to buy.